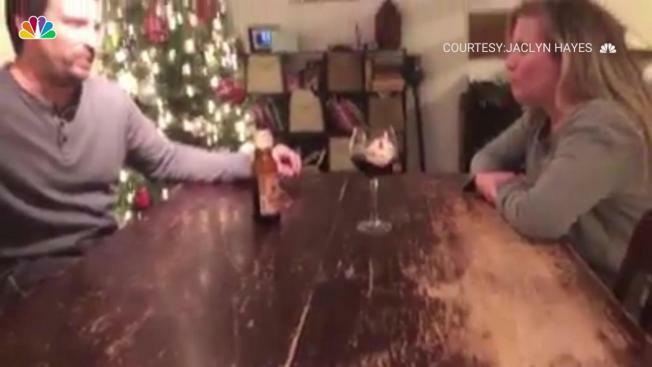 Virginia Beach couple Jaclyn and Jason Hayes must have practiced this for hours. Last Friday the pair posted to Facebook this amazing video of themselves whistling the entire Christmas song 'Carol of the Bells' in perfect harmony. In the comments, one person asked how they don't either burst out laughing, or pass out from lack of oxygen during the 90 second epic song. If you watch carefully, you'll see the talented parents get a surprise cameo from a tiny guest who creeps out from behind the Christmas tree.